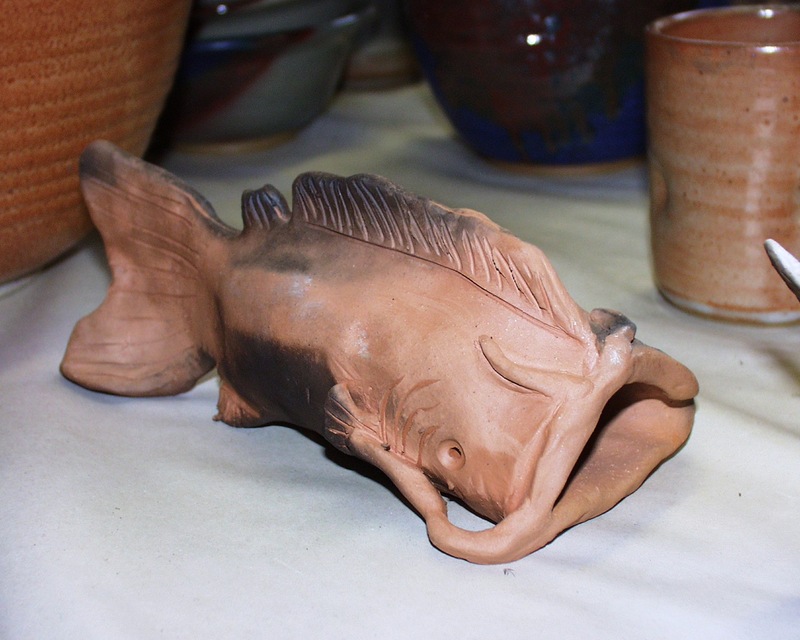 This story was originally published in the September 2006 edition of North Mississippi Christian Family — Valvespring Pottery will be part of The Craftsmen’s Guild of Mississippi’s 38th annual Chimneyville Crafts Festival set for Dec.5-7 at the Mississippi Trade Mart in Jackson. Fritz Fulgham and Bonnie Renfroe spend every spare moment playing in the mud. Actually clay. And some of it is Choctaw County clay – straight from the roadside ditch. 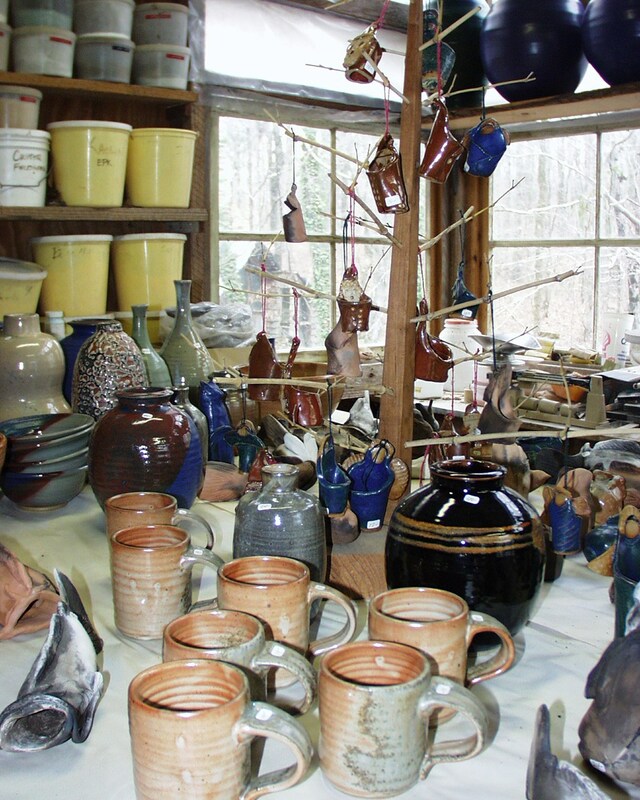 The husband and wife team of Valvespring Pottery have become well-known for playing in the clay and creating beautiful works of art. Nestled in the woods, just outside of Ackerman, Fulgham and Renfroe are surrounded by the sounds of dogs, cats, guineas, and little girls. Renfroe said inspiration comes from nature and faith. The menagerie of animals on their place and the delight and interest of their children provide a well-spring of ideas. And, they are having a great time in the process of incorporating their art with their family life. Lily, 7, and Ada, 3, (originally published in September 2006 so ages the girls are older) love to see dad work on the potter’s wheel while mom crafts a catfish, an angel, or a rabbit out of clay. Lily has already begun working on the potter’s wheel, and she will be a third generation potter in the Fulgham family. Fritz also learned to love pottery while watching his mother at the wheel. Later, he studied ceramics at Millsaps College and worked as a professor to hone his craft. It was while in college that he met his wife, Bonnie Renfroe, who attended Belhaven College. Renfroe loves sculpting with clay, but her first love is painting. 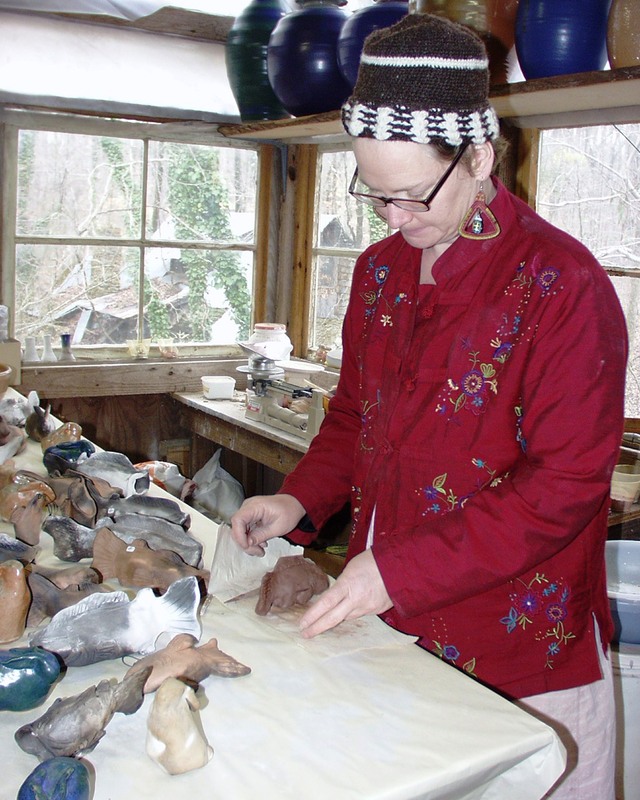 It was only after marrying Fritz that she began dabbling in clay and now she is becoming well-known for her sideline craft. She also loves being a mom to Lily and Ada. She homeschools Lily and Ada gets to tag along on nature hikes and other learning activities. Renfroe uses their surroundings to teach school, as well as inspire the girls artistically. 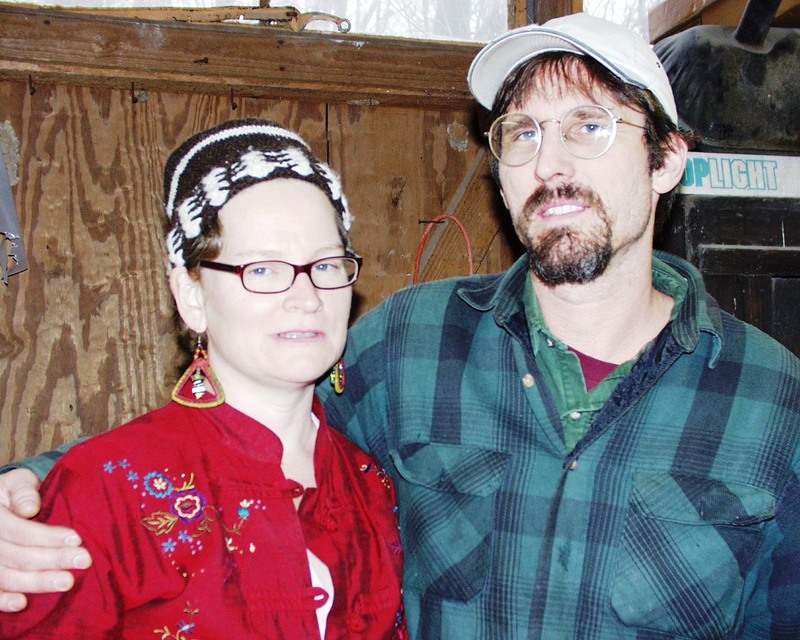 Renfroe and Fulgham are members of The Craftsmen’s Guild of Mississippi, which has been a major source for promoting their work. The Craftsmen’s Guild is a non-profit organization designed to preserve the folk, traditional, and contemporary crafts of Mississippi and the South. 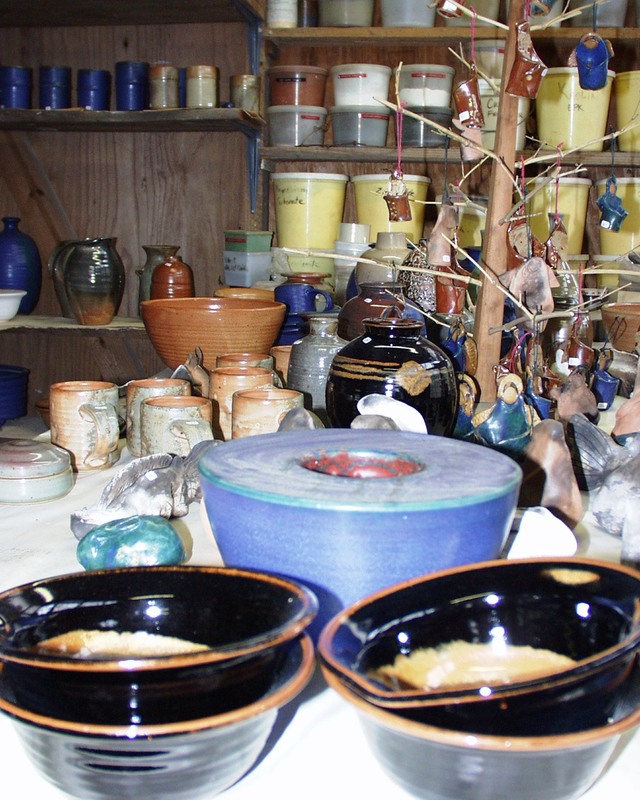 The Guild sponsors the Chimneyville Arts Festival held every year in December, and you will find Valvespring Pottery represented there. You can also find their work at the Mississippi Crafts Gallery on the Natchez Trace and the Chimneyville Crafts Gallery at the Mississippi Agriculture and Forestry Museum. They also have work on display at various times at the Ackerman Public Library.